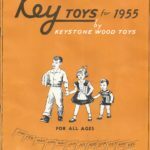 This is a Keystone Wood Toys 1955 catalog. 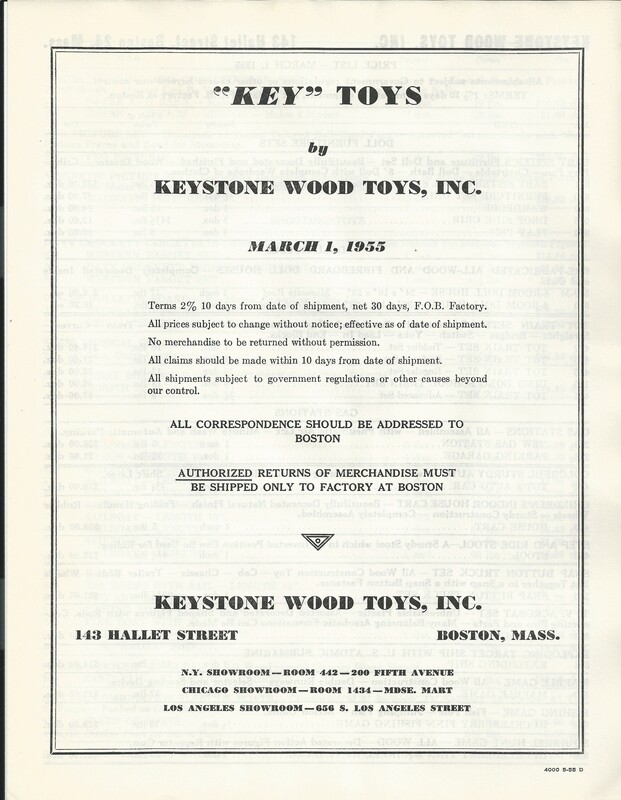 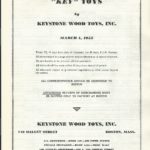 The catalog is ten pages long and consists of dollhouses, doll furniture, train sets, garages, riding toys, play sets and a few ships. 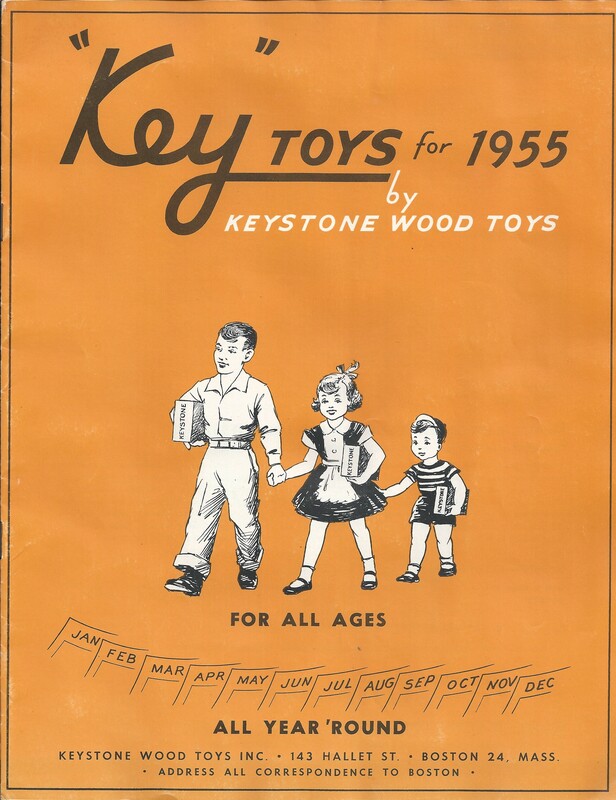 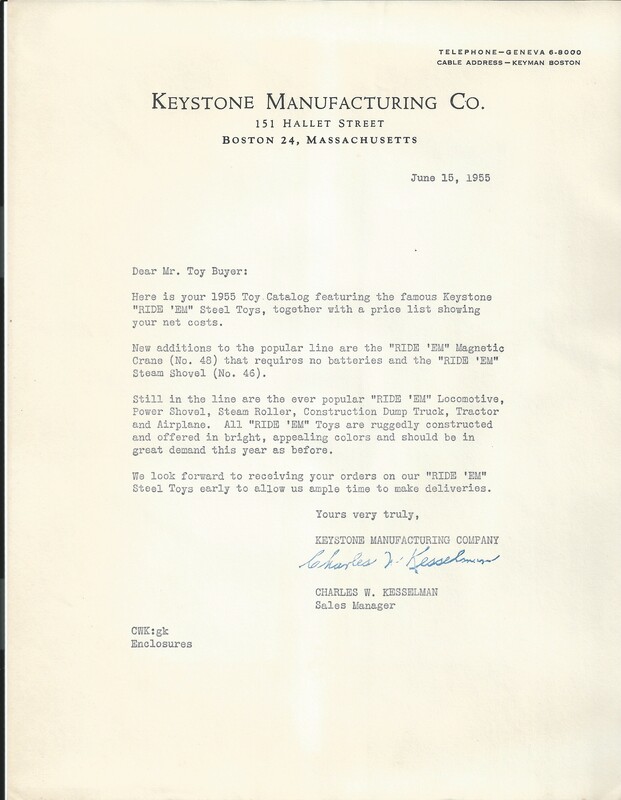 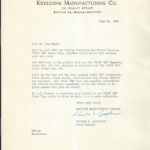 Also included is the 1955 price list and a letter listing the new toys for the year.